Altitudes for planes returning to the aircraft changed: now attacking flights will need to get to a lower altitude than the squadrons returning via the “F” button. This will improve the survivability of flights which can’t escape the AA fire after the attack. But the “F”-spam tactic will still result in noticeable losses if performed in the AA zone. Hit points — 74100. Plating — 32 mm. Main battery — 3x2 457 mm. Firing range — 21.0 km. Maximum HE shell damage — 6450. Chance to cause fire — 43%. Maximum AP shell damage — 15750. Reload time — 30.0 s. 180 degree turn time — 45.0 s. Maximum dispersion — 270 м. 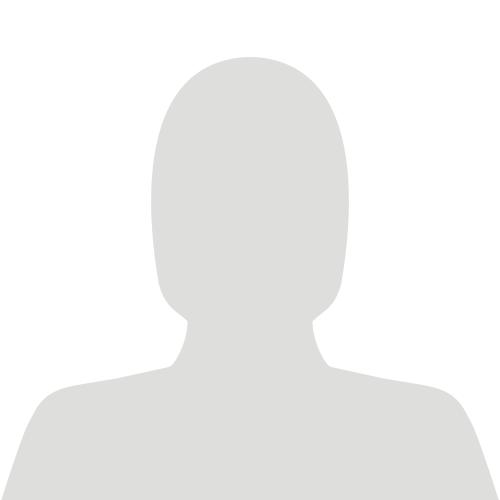 HE initial velocity — 800 m/s. AP initial velocity — 732 m/s. Sigma — 2.00. 10x2 127.0 mm, range — 6.0 km. AA sector reinforcement — 25%, sector reinforcement and reinforcement shift time — 12 s.
Maximum speed — 33 kt. Turning circle radius — 890 m. Rudder shift time — 16.5 s. Surface detectability — 16.9 km. Air detectability — 14.1 km. Detectability after firing main guns in smoke — 18.0 km. 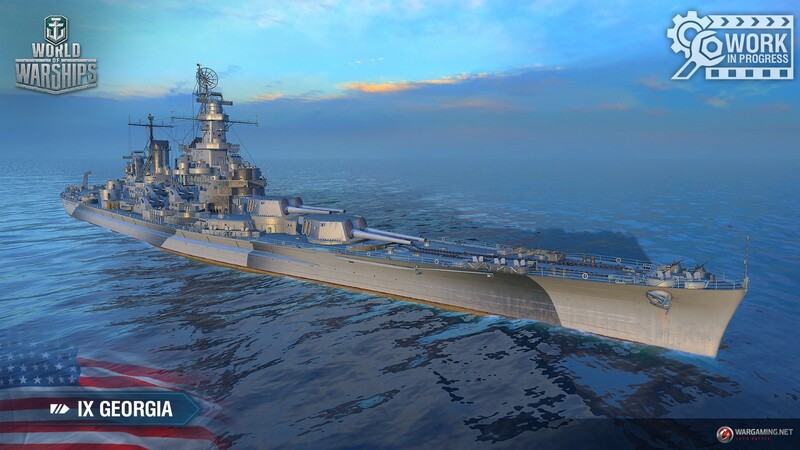 Test versions of the ships Monarch and Conqueror will be added. Consumable cooldown lowered from 180 s to 120 s.
So, these ships can be better punished for positioning mistakes, but their commanders now have improved HP regeneration. 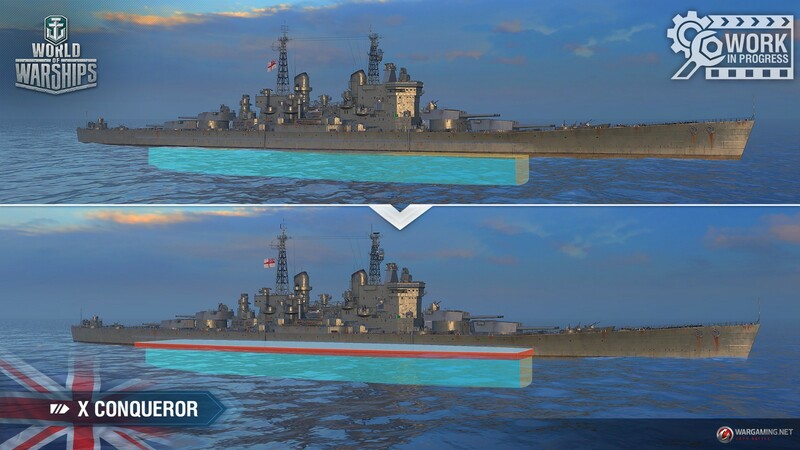 Please, pay attention that these are test changes and they don’t apply to the basic ships. 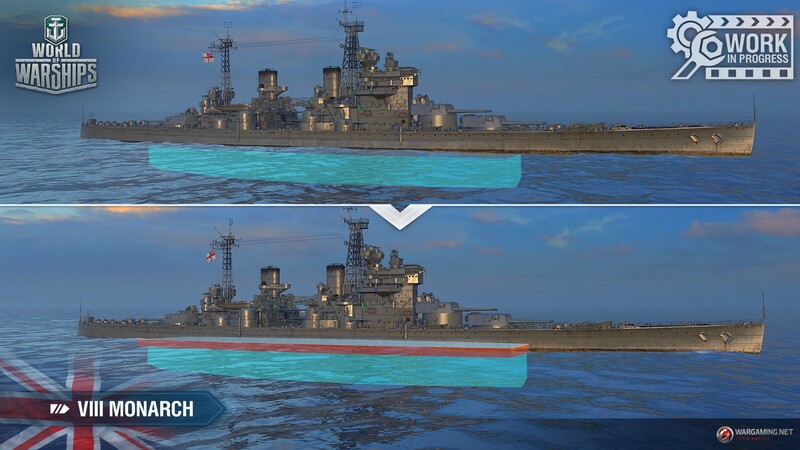 If testing shows that such balancing is efficient, it may later be applied to the basic versions of the ships.